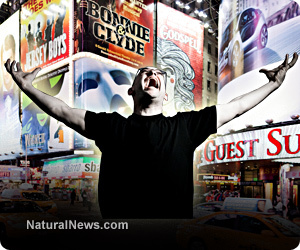 (NaturalNews) Most people feel that a time of great change is upon us. But what kind of change is unfolding, exactly? To answer that question, we must examine current trends and attempt to understand where they are headed. Here's my look at ten of the most sociologically-charged trends that I believe are leading us into a spiritual crisis (followed by a spiritual awakening, as you'll see below). Abandoning the seeds of nature, human scientists continue to play God with plants, animals and even humans. In doing so, they challenge the laws of nature and have already given rise to "superbugs" and "superweeds." Superbugs are resistant to all known chemicals and drugs, and superweeds are resistant to all known chemical herbicides. Genetic pollution is rampant. No one knows where this takes us, but many understand that such reckless science puts the future of life at risk across our entire planet. Turning to techno-immersion devices, more and more people are escaping reality and "living" in virtual worlds, or living in "augmented" versions of the real world. Though such devices and social networks promise connection, they actually deliver isolation, social detachment and depression. As these devices become more capable of sensory immersion, the problems they foment will only become more extreme, leading to extreme isolationism, escapism and truly delusional life experiences. People will live and die in "the Matrix," so to speak. Any idea that used to be considered "normal" is being increasingly demonized. For example, understanding mathematics and the laws of economics now makes you a "fringe whacko" in any discussion about the national debt or budget deficits. Expressing the existence of human consciousness will earn you a sharp rebuke from conformists who insist there is no such thing as consciousness. This group already includes many the world's top physicists such as Stephen Hawking. Ideas like "we should be responsible for our own actions" are becoming increasingly alien across society. Even a heterosexual lifestyle is now being thought of as "abnormal" by the new metro-sexual trendies. Everything normal and natural is being marginalized and replaced with radical, anti-consciousness ideas such as "it's okay to murder babies right after they are born, just call it a post-birth abortion." Normalcy is the new "closet." If you are normal, hide it away, lest you be incessantly berated by your peers for not conforming to their "new wave" of freakish ideas. #4) The rise of "omission journalism"
Journalism is increasingly becoming more about what is omitted from the news rather than what's in it. As mainstream media institutions pursue agendas of social shaping rather than reporting factual news, they use the power of omission to make sure the people aren't aware of the most socially-relevant stories. For example, in our modern time there are two huge stories the media isn't reporting because it's practicing "omission journalism." Those stories are the abortion murder trials and DHS bullet stockpiling. When watching the news, an informed observer must now ask himself, "What are they NOT showing me?" Therein lie the real stories that will never be reported. I call this the "Idiocracy" effect, named after the movie of the same name (by Mike Judge). It simply means that humans who are least qualified to advance humanity are the most likely to have the most offspring. Put simply, smart people have fewer babies, but the idiots procreate in massive numbers. This ultimately skews the demographic profile into a society filled with people of very low cognitive function who nevertheless represent the voting majority. From there, the downfall of society and the rise of the idiocracy is only a matter of time. In a hundred years, this article you are reading right now will be incomprehensible to even high-level scholars of the future because it uses big words like "demographic" and "cognitive." Anyone who can do basic algebra will be considered a genius. Today, publishing truthful knowledge about nutritional supplements, colloidal silver or natural medicine is considered a criminal activity. Any coherent physics analysis of WTC building 7 is also met with sheer derision. One of the trademarks of the insane society into which we have already entered is the censorship and criminalization of knowledge. Any who speak the truth, who attempt to preserve knowledge, or who counter lies with truth are immediately branded whackos, conspiracy theorists or terrorists. The purpose of this ploy is to eliminate all knowledge from society's memory so that reality can be instantly reshaped at will by the governing tyrants. A population which has no connection with actual history, knowledge of natural medicine or even awareness of their natural rights is far easier to control than a well-educated population with a sense of factual context. Dehumanization is a key trend to watch. You see it right now with the idea that sufficiently young children have no "life" and no value and can be terminated as a "choice." You also see it with the increasingly radical rhetoric in the mainstream media, where guests on CNN and other broadcasts call for the violent shooting of anyone who disagrees with them. These are signs of dehumanization, and they will be extended and multiplied until all those who disagree with the governing status quo are labeled "animals" and dealt with accordingly. I've even reflected this very trend right here on Natural News when describing the great "zombie masses" that threaten our society. To refer to people as "zombies" is to dehumanize them. We must be extremely careful when invoking this term if it is not clear that the context is satire or comedy. Government is becoming less a body that governs and more an institution that can only be called a "theater production entity." Violent, public theater productions are increasingly carried out under the pretense that they are actual events which demand increased government power to prevent. Because terror has the most emotional and viral impact across society, terror events are chosen as the most economical forms of government theater to achieve a desired social or political goal. The use of false flags and government theater will increase to the point where nearly everything announced by government is a complete falsehood. This use of theater instead of governance serves to further detach people from reality while making them more malleable to the whims of government obedience. The rise of total government surveillance -- as is already under construction in the United States -- promises to record, profile and cross-index every uttered word, email, web activity, phone text and electronic transmission. This capability will very quickly be abused by political forces to track and destroy political enemies while suppressing freedom of thought across society. Certain words will become illegal to utter... even to type into a word processing application that stores data in "the cloud." The surveillance state is what makes the police state fatal, because it transforms a police state from a group of bumbling idiots into an informed domestic police force with specific reachable targets. A police state without surveillance is just a bunch of guys standing around with guns. A police state with surveillance is a totalitarianistic nightmare. Those who don't know history are doomed to repeat it, and the growing power of the state does not want private citizens to have any knowledge of actual history. Already, the revisionists are hard at work. In recent memory, for example, we've seen gun control pushers on the left argue that Hitler never enacted gun control laws before rounding up disarmed Jews and murdering them in gas chambers. We've also seen new efforts in popular media to demonize America's Founding Fathers and paint them as discredited terrorists. Other efforts are under way to disparage the Constitution and the Bill of Rights. These are all efforts to eradicate history and force citizens to forget where they came from and what it took to establish freedom in the first place. Much of the rewriting of history is accomplished through popular media: TV shows, movies and social media. These trends will ultimately lead us to an era that I call "The Suffering." This era will be characterized by mass starvation, pandemics, financial catastrophe, extreme social unrest, global infertility, biological freakism, mental insanity and intense suffering. This suffering will be born out of detachment from self, from nature, from consciousness and from the Creator. Detachment is the common theme that will haunt society during the suffering. The Suffering may last a decade or even a generation. But once the suffering has been sufficient, out of it will come en era of spiritual renaissance -- a cry for help from those who realize their detachment has caused unnecessary suffering and that healing can be initiated by returning to reality. They will once again seek connection rather than detachment. They will once again value life, seeds and consciousness rather than abnormalcy, death and mindlessness. I predict this will see the rise of a powerful "consciousness movement" that will grow from humble beginning as a minor social movement to an unstoppable political movement. Its basis will be philosophical: that humans are conscious, free-will beings with a soul that exists beyond the physical. This simple truth will become the basis for a movement that inherently combines compassion with personal responsibility, espousing both conscious connection with all living things while simultaneously recognizing the individual responsibility to make something of yourself. It will revolutionize both science and spirituality while finding common ground in both. The Consciousness movement will spur the next stage of societal evolution on our world, and it will simultaneously mark the end of the era of biological determinism and scientific reductionism. Holism will finally be recognized as the key fundamental philosophy that underlies health, science, religion and even consciousness. I will discuss these concepts in more detail in a future article here on Natural News. In the mean time, make sure you are prepared to survive "The Suffering" so that you will still be around to enjoy the rise of the Consciousness movement. All this may take many years -- or even decades -- to unfold. Hunker down for the long haul, in other words, and never lose track of the ultimate destination in all this: the global recognition of consciousness and the non-physical soul. Where's the feminist outrage as #RapeMelania trends on Twitter?